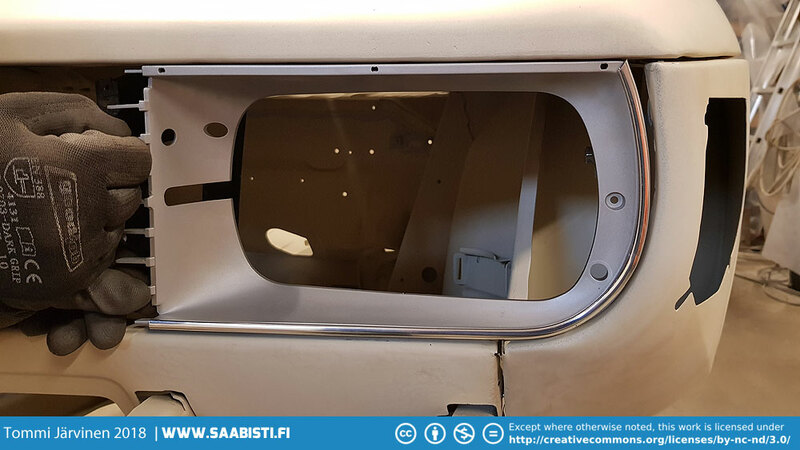 One of the most important aspects was checking the front of the car as it’s visually a major point of interest. Everything needs to fit perfectly. 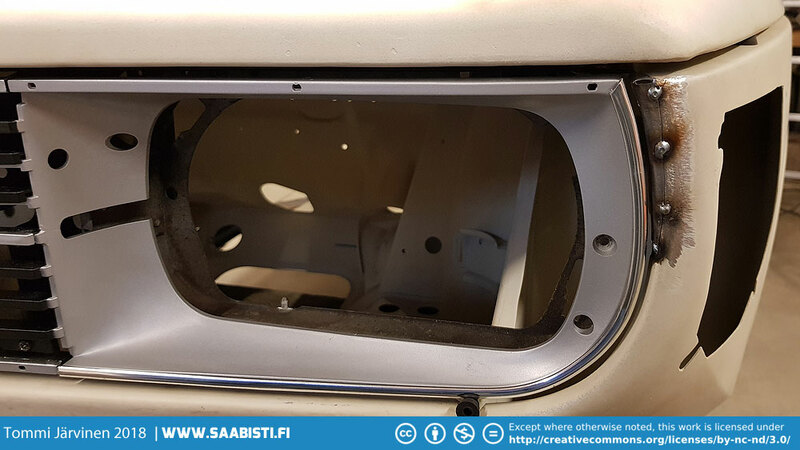 So we fitted the core support and all the necessary grille parts. 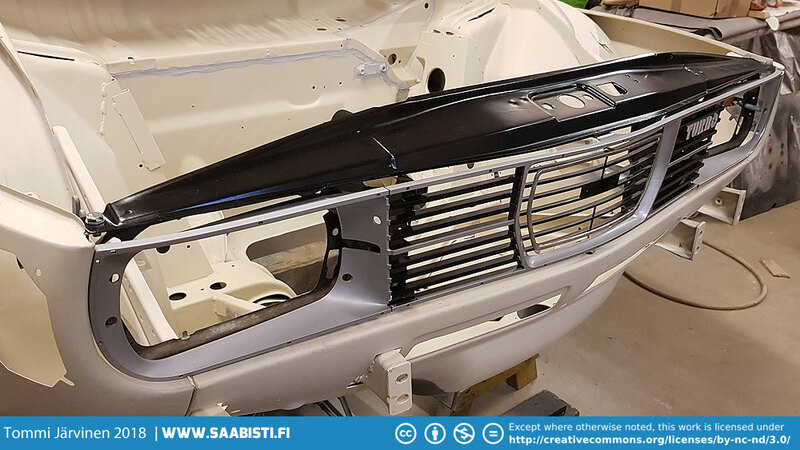 I decided to do a final fitting for the grille and core support also to confirm the geometry and measurements. No major problems with the grille or the light bezels. Event the core support was sitting pretty much square. 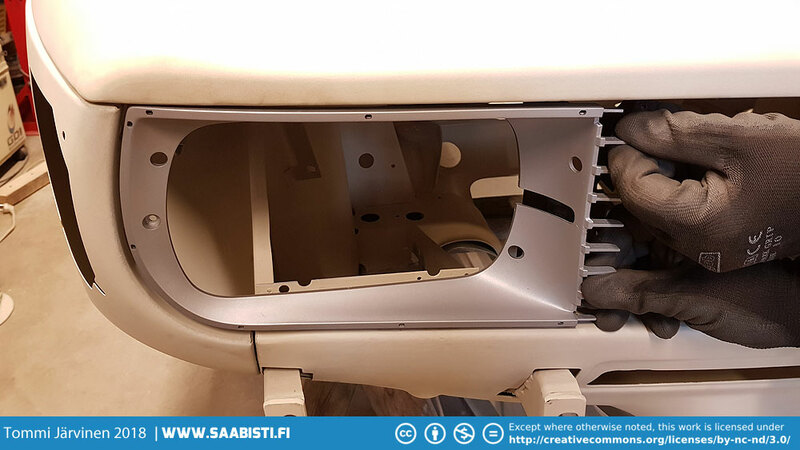 The right hand side fender is a Saab original for Saab 90. No issues with fitting or shape. The light bezels are key components. Any issues here are instantly visible. The right hand side was fine. But the left hand side fender is an aftermarket item by Klokkerholm and the fit leaves a lot to desire for. Unfortunately the aftermarket Klokkerholm fender we used for the driver side was not as good. It was clearly out of shape around the top part of the light bezel. There was no way that was going to fly. I just couldn’t leave such an ugly cap so I made a small piece to fill the space. I proceeded to make small fill piece out of sheet metal. Nothing too complicated to do other than making sure the curvature follows the light bezel. Looks a lot nicer already. 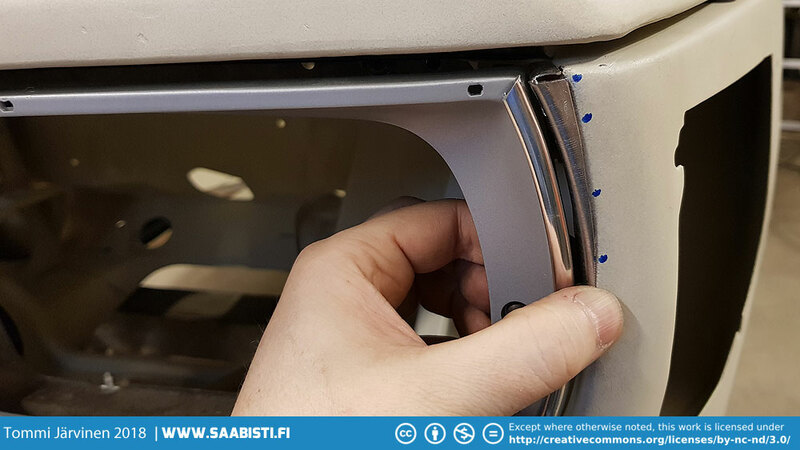 Now the fender follows the contour of the light bezel correctly. 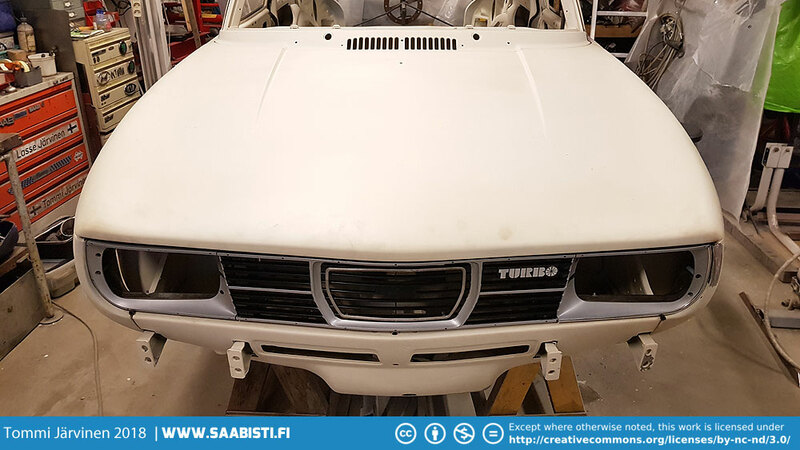 Well – now it’s starting to look like a Saab 99 Turbo. Looks a lot more balanced already. Some primer and anyone would be hard pressed to notice the repair.